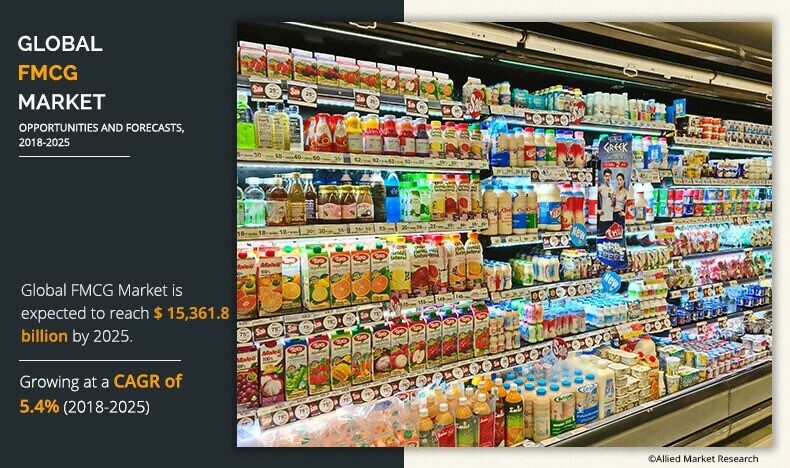 The global FMCG market is projected to reach $15,361.8 billion by 2025, registering a CAGR of 5.4% from 2018 to 2025. Fast moving consumer goods (FMCG) also known as consumer packaged goods are products that can be bought at a low cost. These products are consumed on a small scale and are generally available in a variety of outlets including grocery store, supermarket, and warehouses. The FMCG market has experienced healthy growth over the last decade because of adoption of experience retailing along with reflecting consumers desire to enhance their physical shopping experience with a social or leisure experience. The global FMCG market is segmented based on product type, distribution channel, and region. Based on product type it is classified as food and beverages, personal care (skincare, cosmetics, hair care, others), healthcare care (over-the-counter drugs, vitamins & dietary supplements, oral care, feminine care, others), and home care. 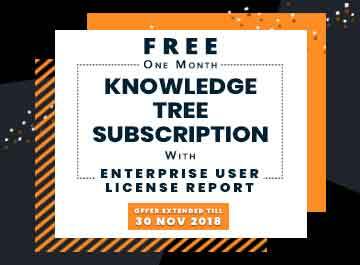 The distribution channel segment comprises of supermarkets and hypermarkets, grocery stores, specialty stores, specialty stores, e commerce and others. By region, it is analyzed through North America, Europe, Asia-Pacific, and LAMEA. 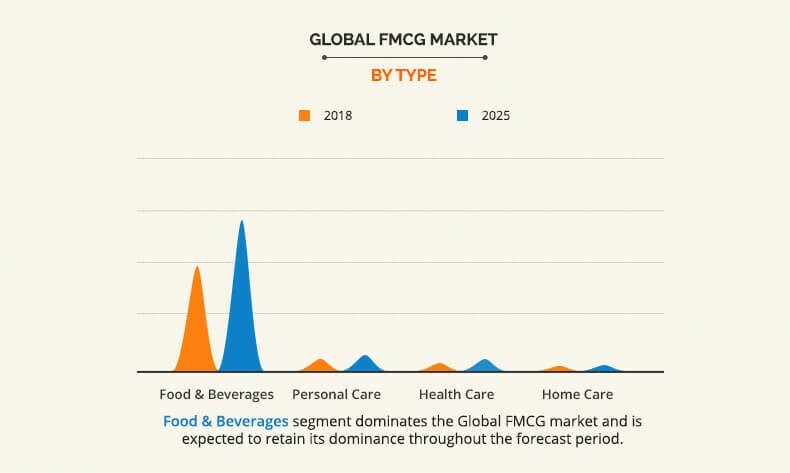 In 2018, the food & beverage segment held majority share in the FMCG market and is expected to hold a significant share in the global market throughout the forecast period. Consumers today have become more knowledgeable and open to food & beverages consumed by foreign cultures. They are driven by a sense of exploration and are in search for new experience. This search for novel experience has pushed the food & beverage operators to maintain the quality of their offerings. The trend of healthy eating has also been a top impacting factor affecting the growth of the food & beverage market. Consumers have become increasingly health conscious and a large number of people have begun to follow special diets and want to enjoy these healthier choices both at home and when they are eating. In 2018, the supermarkets and hypermarkets distribution channel segment dominated the FMCG market. The growth of this segment is driven by rise in disposable income and increase in demand for a one-stop solution for all shopping needs. Moreover, the augmented experience provided by these retail formats increases its attractiveness to customers. This in turn drives the growth of the supermarkets and hypermarkets distribution channel segment of the FMCG market. In 2018, in terms of region, North America is expected to remain dominant and grow at a steady pace in the FMCG market. However, Asia-Pacific is expected to grow at the highest CAGR of 8.0% owing to changes in lifestyles, which is led by globalization and increase in working population. The rise in the affluent population and increased penetration of internet and social media has increased the consumption of processed and packaged food, which makes way for the growth of the FMCG market in the region. Furthermore, innovations in current products and introduction of new products with attractive pricing is expected to provide growth opportunities for the FMCG market in future. The leading players in the FMCG market focus on providing customized solution to consumers as their key strategies to gain a significant share in the market. Strategies such as product launch and acquisition have also helped the key players to gain a significant share in the global FMCG market. The key players profiled in the report include Procter And Gamble, Unilever Group, The Coca Cola Company, Pepsico Co. Inc, Kimberly-Clark Corporation, Patanjali Ayurved Ltd., Dr Pepper Snapple Group, Inc., Revlon, Inc, Johnson & Johnson, and Nestle. The report provides an in-depth analysis of the current trends, drivers, and dynamics of the FMCG market to elucidate the prevailing opportunities and tap the investment pockets. 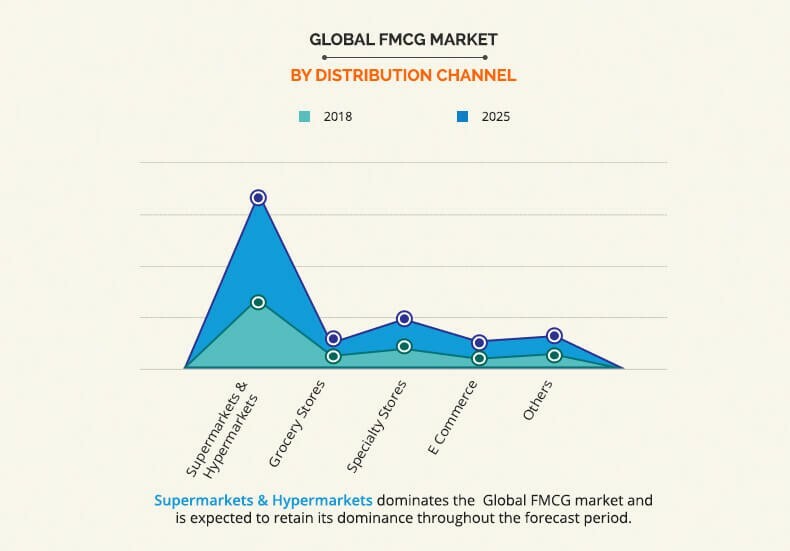 It offers qualitative trends and quantitative analysis of the global FMCG market from 2018 to 2025 to assist stakeholders to understand the market scenario. In-depth analysis of the key segments demonstrates the types of fast moving consumer goods available. 7.2. DR PEPPER SNAPPLE GROUP, INC.
FMCG is an essential part of day to day life and accounts for more than half of all consumer spending. It comprises of products such as food & beverages, over-the-counter drugs, health care products, and other products such as personal care, toiletries, and homecare products. 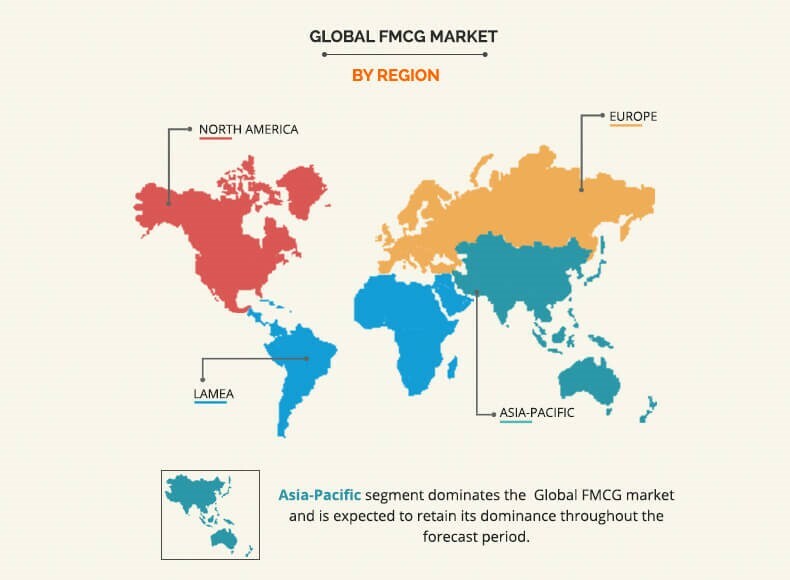 The global FMCG market has witnessed significant growth, owing to change in lifestyles, variations in demographics, upsurge in organized retail, rise in disposable income, and increase in urbanization. Indian FMCG industries have higher growth potential as compared to the world, due to increase in the purchasing power of the Indian population and its sizeable youth population coupled with growth stage of the industries. There has been an increase in disposable incomes both in the urban cities as well as in rural India. The share of spending on basic necessities, leisure & recreation, and miscellaneous goods & services witness increase with the rise in household incomes and disposable incomes. This in turn boosts, the growth of the Indian FMCG market. In addition, growth in young population of India is considered to be the major consumer segment for FMCG products. Changes in needs and preferences of this segment has enforced domestic players to create products specifically compatible with lifestyle of young population. International players are also trying to mold their products and offerings according to Indian consumer needs to enter and succeed in a diverse market like India. Further, strong distribution channel network make the desired product accessible to the customers, which contributes to the growth of Indian FMCG market. The emergence and growth of e-commerce also fuels the market growth. This is expected to make way for established FMCG firms to develop their existing brands to gain higher margins.